1833 was a critical year for Britons who had invested in the Empire. Thanks to the work of the Legacies of British Slave Ownership team at UCL, we have got to know more about the thousands of British people from nearly all classes, regions, towns and cities, who owned slaves and were paid compensation for their emancipation after the act abolishing slavery was passed in that year. We know that some 40% of GDP was handed over to slave owners while formerly enslaved people received nothing, and that much of the payout was invested in projects like the building of railways and the establishment of banking and insurance firms at home, and in projects like the colonization of South Australia overseas. But many of those who now know about slave owners don’t necessarily recognise that the simultaneous transformation of the East India Company also safeguarded the interests of Britons invested in empire. In 1833, the East India Company’s charter came up for renewal. Its directors had to renegotiate its role in trade and the governance of India with the British government. 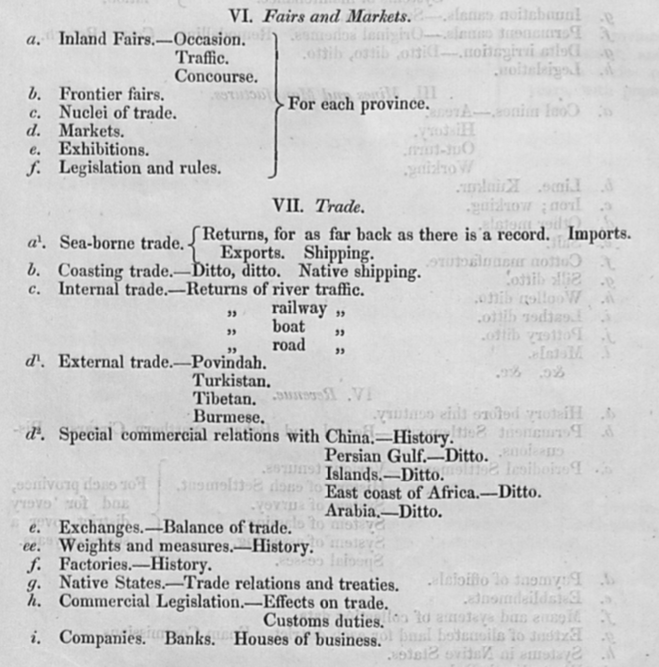 Its monopoly on trade with India had already been opened up by the last charter renewal act in 1813. In 1833, with the doctrine of free trade gaining ground in Britain, it was also stripped of its remaining monopoly, on the trade between India and China. In fact even this monopoly was more nominal than real, since the Company had long been encouraging private merchants to smuggle the opium that it grew in Bengal into China so that it could earn currency with which to buy tea. The element of the 1833 charter renewal that was perhaps more significant was the deal struck with the Company’s shareholders in Britain. Rather than winding up the East India Company altogether now that it was no longer a viable commercial concern, the British government decided to turn it exclusively into Britain’s proxy government of India. Its trading functions were closed down and, just as British slave owners were being compensated through the Abolition of Slavery Act, the creditors, warehouse labourers and managers of its trading arm were also paid out. What remained, though, was the question of what to do with its shareholders. Compensation for slave owners was conceded in 1833 because even the most ardent antislavery campaigners recognised that they needed compliance from the powerful West India lobby at home and from planter dominated legislative assemblies in the Caribbean if enslaved people were ever actually to be set free. Compensation (along with an intended four or six year period of continued ‘apprenticeship’ for slaves) was the compromise necessary to get the legislation approved. Remarkably, the East India Company’s shareholders were given the guarantee of continued dividends for their stock at pretty much the same time, and for similar reasons. 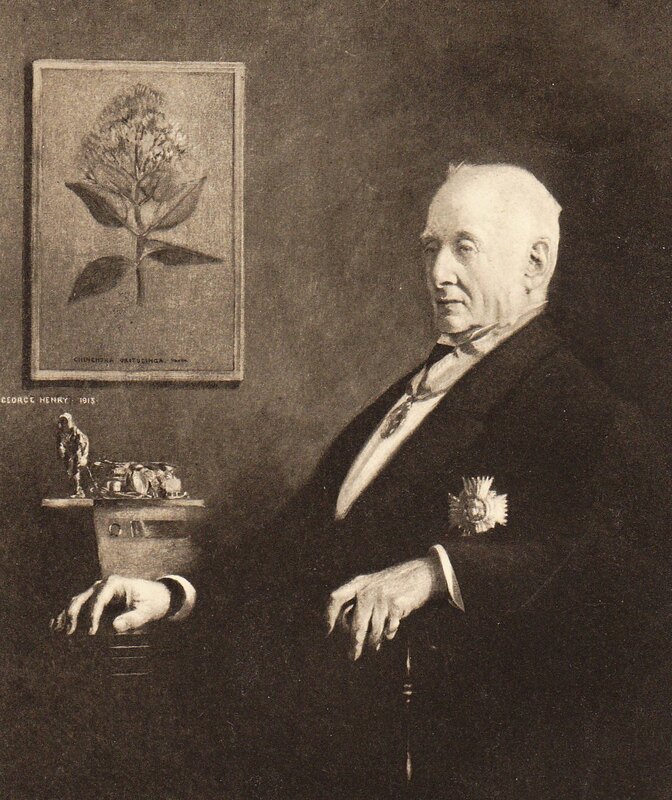 The returns were generous to say the least: annual dividends of 10 ½ per cent.As Thomas Babington Macaulay, at that time Secretary of the Board of Control which oversaw the Company on behalf of the British government, explained to parliament, this was “precisely the same dividend which they have been receiving for forty years, and which they have expected to receive permanently”. Rather than being derived from the profits of trade, from now on these dividends would be extracted exclusively from the rent paid by the Company’s Indian subjects in return for the privilege of being governed by it. The early 1830s was a time of great transformation. In Britain itself, both the 1832 Reform Act and the increasingly powerful doctrine of free trade were magnifying the political force of commercial and industrial interests. As ever, imperial transformations were closely connected. The abolition of slavery, mainly in the western half of the empire, and the restructuring of the East India Company in the eastern half, were part of the same broad transformation. Both threatened vested interests among a cross section of British society. Both were handled simultaneously so as to protect those interests at the expense of colonial subjects. Hansard HC Deb 10 July 1833 vol 19 cc479-550. Last Friday, I represented the Snapshots team at the ‘Filing Empire’ workshop at Columbia University. The questions the workshop was designed to address are ones we’ve often tried to approach in our own work: how was empire constructed by and through technologies, protocols and systems of paperwork? How did these bureaucratic apparatuses change over time? How did they understand, codify and produce colonial realities? And how do the entailments of these systems – structural, epistemic, ideological – persist into the postcolonial present? 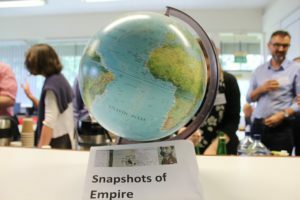 At the core of the day’s discussion was the big question on the relationship between documentation and empire: how systems of recording, communicating, storing and retrieving information helped shape and sustain imperial power. The papers and book chapters contributed by participants approached this question from varying angles. 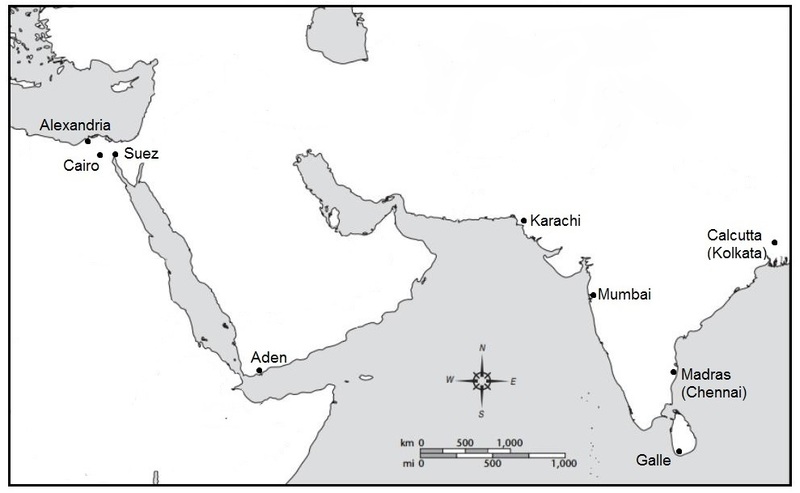 Asheesh Siddique’s work focused on John Bruce (1744-1826), the Company historiographer, to illustrate how networks of patronage, manuscript circulation and influence persisted into the early nineteenth century, as the historical and administrative functions of the archive began to occupy different spaces and develop different protocols. The paper I brought from the Snapshots project studied later historiographers and antiquarians in the India Office’s archive, to ask questions about the functions of memorialization, the authorization of history and the archive as a site for divergent fantasies of bureaucratic/historiographical power. 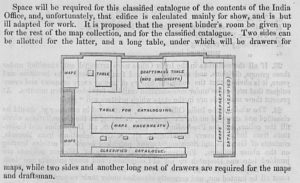 Zoe Laidlaw’s contribution looked to James Stephen’s reorganisation of the Colonial Office in the mid nineteenth century, and the ‘Blue Books’ which from 1819 onwards were assembled, supposedly, as reliable statistical digests of Britain’s colonial empire. Devyani Gupta’s work on the postal system in nineteenth century India showed how colonial infrastructures worked to efface homogeneous social and cultural realities through standardizing things like forms of address, postal routes and epistolary practice – in effect, binding South Asian territory, people and societies closer into a ‘British India’. Somewhat similarly, Brian Larkin’s paper followed the progress of a 1923 attempt to standardize the spelling of ‘Mohammed’ and ‘Mohammedan’ across the British Empire. Finally, Matthew Hull’s work on present-day Pakistani bureaucracy undertook an anthropological investigation of the entailments of the ‘Kaghazi Raj’ or paperwork empire, exploring how the practice of paperwork becomes the terrain on which politics are conducted, personal credit built, influence peddled, and careers (and occasionally fortunes) made. The question which came up perhaps most often and forcefully, in trying to make these rather various pieces of scholarship speak to each other, was that of failure. In all of the cases studied, there’s some kind of gap between what the archive or the system claims to be able to do and what it actually does. In the first instance, this is often about procedure. Files often fail to circulate as they’re supposed to: they get lost in offices, kept on the wrong desk, redirected by accident or by design to the wrong person. The function of any given file or protocol can be subverted, repurposed or nullified: Matt Hull’s work on the complex unofficial codes of mark-up, circulation and file construction engaged in by modern-day bureaucrats is a dizzying example of how any system of government-by-writing can be made the vehicle of very different types of business than those it was designed for. Bureaucracy leaks and spreads, generates friction and grinds its gears. The given system is always, of course, a relic of an earlier time; inasmuch as it has helped to create the world it must now engage with, that world is also escaping it, and the matter of catching up is often one of improvisation and quiet adaptation. It has other systems with which to contend and intermesh; its systems of meaning have to somehow articulate to systems of meaning with which it may have little in common. In Larkin’s study, almost all these things occurred: the file generated stacks of replies, notes and additions on a global scale, became a forum in which administrators showed off their considerable classical learning while arguing about the possibility of standardizing something that, while it reflected a global Muslim ecumene, fiercely resisted standardization. In the end, the whole affair was short-circuited by a conversation which happened outwith the bounds of the file, most likely orally, at the very top level: an emerging consensus (that ‘Mohammedan’ and ‘Mohammedanism’ would be better, both for scholarly reasons and as a “global courtesy”, rendered as ‘Muslim’ and ‘Islam’), quashed by abrupt executive fiat. The more serious and encompassing failure, however, is that of representation – and, behind the claim to representation, the claim to power. Both the Blue Books that Laidlaw studies, and the fantastic archive of Clements Markham in our work, advert to a fantasy of statistical mastery, a fantasy that the empire can be fully known. Likewise, Gupta’s work on the Post Office shows us a system with the clear aspiration to structure reality by properly codifying it. This is the kind of enabling colonial knowledge studied by CA Bayly, Bernard Kohn, Matthew Edney and Thomas Richards; it leads into the kind of fantasy of the omnipotent archive, complete library or 1:1 scale map that haunts the work of Jorge Luis Borges and Ismail Kadare. But there’s always a difference between the map and the territory. At Columbia, perhaps unkindly, we settled on describing these kinds of claims to mastery ‘Trumpian’: they betray a conviction that if you imagine something to be the case, it becomes the case. 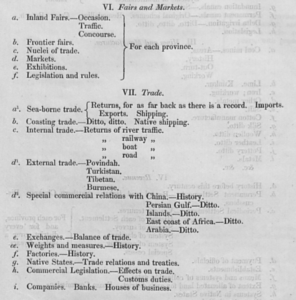 Markham’s all-encompassing registry barely got off the ground; the data on which the Blue Books were based was often faulty, returned by colonial officers who filled in their questionnaires carelessly and as a matter of bureaucratic box-ticking, and was barely consulted within the Colonial Office. 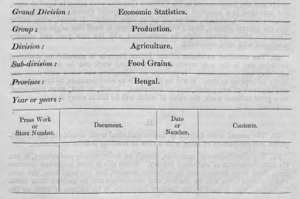 Later statistical digests for public consumption, like RM Martin’s Statistics of the Colonies of the British Empire, bore little relation to the colonial realities they were supposed to represent, but became increasingly central to the work of representing and imagining the empire; whatever their failures in terms of accuracy, they became the materials of the imperial imaginary and its politics. The bells and whistles, the impressive visual rhetoric of statistics – tables, columns, sheer weight of numbers – conveyed the impression of authoritative knowledge where there was none. The fantasy here became a kind of reality, and there is a strange momentum in the process by which actuarial happenstance, laziness, prejudice or misprision becomes reified as cultural force. And this brings us, inevitably, to the question of ritual and performance, not just as things which occur within bureaucracy but constitutive elements of it. In some ways, maintaining a sense of bureaucratic administration’s performativity can help us to trouble some of the more simplistic narratives of its technological and cultural histories. It can be a bit too easy, perhaps, to identify a ‘bureaucratic turn’ (say, for our purposes, about the beginning of the nineteenth century) before which all administration was carried out through discursive, personalised and situated means, and after which everything became Weberianly mobile and routinized, all subjectivity cleared out by process, and all content submitted to form. Almost all the work we shared showed how ‘modern’ bureaucracy is stuffed with all kinds of performance, affect, desire, sociability and animosity; if bureaucracy, as Matt Hull pointed out, is ‘the terrain on which we do politics’, it’s also often the terrain on which we do various kinds of selfhood. Brian Larkin’s colonial officers, asked to agree on the best transliteration of ‘Mohammed’ and its cognates, took the opportunity to show off their classical and Orientalist education with some fairly dizzying displays of linguistic knowledge – none of it, however, of much use to the question at hand. The Pakistani bureaucrats of Matt Hull’s work make a performance, in some senses, of the bureaucratic form itself, in which mastery of the all the system’s official, semi-official and distinctly non-official protocols becomes a form of social peacockery, a platform for a kind of sprezzatura. The speaking human subject always returns to fill the spaces of the forms from which it has supposedly been banished. But, too often, only a certain type of subject gets to speak. 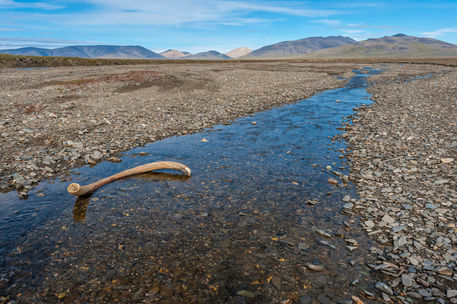 If there’s a danger to the focus on a kind of archival bathos – the distance between Trumpian claims and, well, Trumpian failure – it is that it is perhaps too easily parlayed into a denial of the power of the systems we’re studying here. If every case study we read for this conference involved a kind of failure, that failure always occurred within the context of a resounding success: the job got done, more or less, and the power of the British empire (or the modern postcolonial state and its apparatchiks) endured. (Again, ‘Trumpian’ is more instructive than we may’ve at first anticipated: Donald Trump’s uniquely vexed relationship with reality hasn’t yet seen him ejected from the Oval Office.) Our last discussions of the day played around the edges of archival absences: we discussed ways and means of recovering subaltern subjects from an archive with little apparent room for them, and the various ways in which archives can be dispersed, destroyed, and misread. In an age of nationalist reaction, cultural nostalgia and anxious retreat to the national, racial or linguistic community, the matter of what’s in the archive of empire and what’s isn’t, and how we read and manage and interpret that archive, is uncomfortably urgent. The files of empire, their contents and dispositions, are still the terrain on which we do politics. Many thanks to Professor Brian Larkin and Asheesh Siddique for organising the workshop, and to the Heyman Centre for the Humanities at Columbia University for hosting it; especial thanks to Brian, and to Gustav Kalm, for showing me the hospitality of New York. 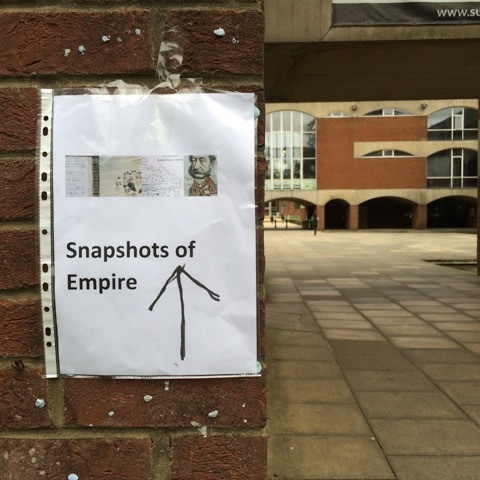 On the 2 September, 2016, ‘Snapshots of Empire’ hosted its first workshop. Thirty delegates gathered to discuss themes connected directly to imperial governmentality, including: imperial administration and governance, the infrastructures of communication and connection across empires, relationships between bureaucracies in London and colonial relations in different sites of the British Empire, and governing mobility across empires. 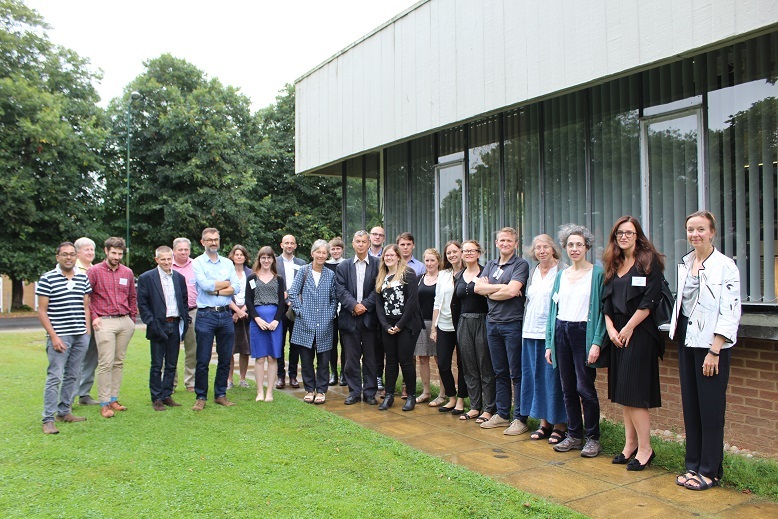 After an introduction to our work in progress from each member of the Snapshots project team, the workshop featured thoughtful responses from Dan Clayton, John Darwin, Catherine Hall, and Clare Anderson regarding changing imperial historiographies and the responsibilities of the researcher. These talks called us to question how we, as historians of empire, approach our materials and accommodate other studies. First to speak was Clare Anderson, who raised interesting questions that asked how we can better understand the diversity of the empire and the mobility of its people. She proposed penal transportation – which constitutes the primary focus of her ‘Carceral Archipelago’ project – as an interesting avenue for understanding moments of meeting between Empires, and thinking beyond coincidences and how events occurred similarly in different places. ‘Carceral Archipelago’ takes a different approach to addressing a similar question to that of ‘Snapshots of Empire’: How were people meeting and exchanging ideas? And what did this mean for the development of governance? Most importantly, Anderson’s project highlights how the convicts caught up in these systems experienced inter-Imperialisms and the other processes of empire. Anderson emphasised the importance of remembering the individual when discussing the history of empire, which is a point that Catherine Hall likewise took up later during the workshop. 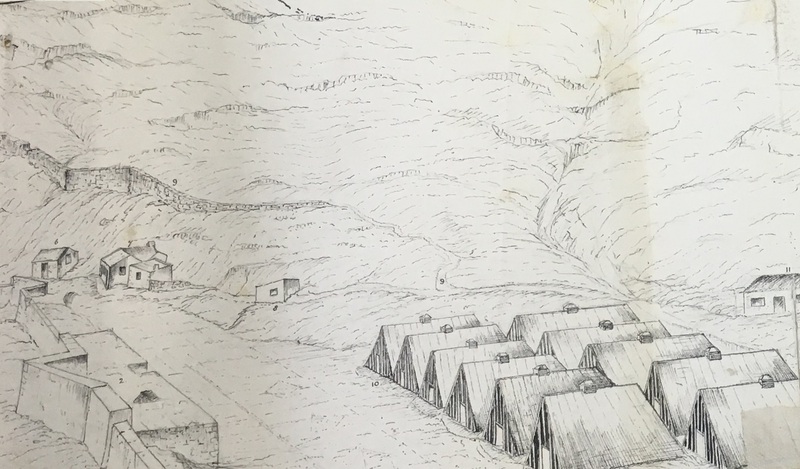 Clare’s reflections on our ‘sister projects’ can be found here, on the ‘Carceral Archipelago’ blog. Physical Geographies – It is important to write conceptually about the connection between geography and empire. Aside from the flows of people, ideas, commodities, organisms and objects constituting the spatiality of empire, about which much has been written, there are many physical geographies inherent in empire and it is important to think about place; how places were mapped and visualized. Mapping, coastal surveying, and other forms of place-making all had their own particular histories. 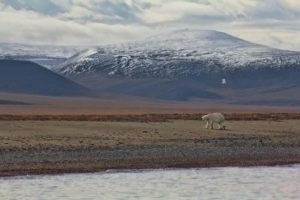 Trust – What happens when trust is threatened? How do you repair it? What happens when trust breaks down? Through a consideration of trust, troubled or fragile relations between the India Office and the Colonial Office, between London and the colonies, and between the colonies themselves can all be elucidated. Scale and Specificity – Scale is a particular focus of our work at Snapshots, as we try to get rid of a top-down perspective of imperial governmentality by looking at connections. However, Clayton raises the question whether sometimes in studies of global empire the specificities can be lost. It is important to consider the peculiarities of the offices of empire, politics and culture in the metropole, the influence of non-elites, issues of violence and race, and many other important issues. This raises the troubling question, how a historian can balance a broad approach, such as that adopted by Snapshots, while still acknowledging the important specificities. Imagining the Future – How can we construct a new narrative of the past that imagines the future. Is the 1838 snapshot, with its emphasis on Emancipation, about the dream of freedom? How does an imagining of the future impact the present? An understanding of the future must bring the past with it. Meaning – Where does meaning congeal? We must look for ‘subaltern gestures’ even in a government-focused project, such as that being conducted at Snapshots of Empire. Is there a place where the meaning lies? Can we think that meaning congeals in any one place? If not, then what does it mean? Can meaning stretch transnationally? John Darwin: The ‘Official Mind’? Traditionally, John Darwin tells us, historians of empire have fallen into two categories: those who prefer to write about a particular colony or region, and those who try to write about it as a whole. Darwin acknowledges Clayton’s point about the importance of specificity, but notes that many studies in recent decades have neglected to consider the influence of constitutionality and the governing laws of the British Empire. There is a long-standing claim that the way in which the British Empire was governed was closely related to the views of, and the imaginations of, officials: the ‘official mind.’ Studies of the official mind emphasise the presence of a ‘special historiography’ generated between officials and clerks, and argue that the centrality of India in terms of determining Britain’s understanding of Empire was so strong that it tended to determine how things were done elsewhere in the world. To effectively dissect the ‘official mind’ theory one must consider the many and varied conditions of imperial governance. First, historians must be aware of environmental pressures, from Parliament, the colonial press, and domestic press and politics. Secondly, one must consider the problems of imperial governance and that what worked in theory was not always effective in practice. For example, how cooperative were the colonial governors? If that was the Colonial Office’s only source of information, how reliable was it when governors were often selective with what they chose to send back? Thirdly, historians must consider the bureaucratic culture, and any changes that might have occurred. How might changes to the bureaucratic chain affect how information was processed? Catherine Hall brought three key points to bear upon the workshop, all of which are of immense importance. While the first two relate to how we view our material, the second addresses how we view our own work within the wider community of historical research. First, Hall built upon Anderson’s comments, regarding the importance of the individual. Even when conducting broad, sweeping studies that focus upon processes rather than people, the individual is still important. Whether that is the clerk sitting in the Colonial Office, who sorts incoming correspondence, or the colonial Governor who decides what information to send home to London and what to keep back, or the British slave-owner arguing against Emancipation, or the convict being transported from England to the Australian Penal Colonies. In a project such as that being attempted here at Snapshots, where the focus is so broad, it is easy to forget the individual perspective. However, as Hall notes, remembering the individual can be crucial to understanding the reality of how policies came into effect and were enacted on the ground. The second similarly emphasises the human element, as Hall directs our attention to the importance of race. An understanding of how difference was constructed across empire is crucial. Racialisation, she argues, was absolutely key to the history of the British Empire, while slavery played an important role in the foundational notions of race in Britain. Race, as a constructed category based in culture or society, shaped every other aspect of empire. The third point Hall made was the importance of viewing our work, as scholars of empire, as but one piece within a large elaborate jigsaw puzzle. Our work does not necessarily negate others; but rather, our work should be considered in relation to other studies. By elaborating questions and putting all the pieces together, connecting our work to others, together we can build something different. Together, these four talks made a lot of important points and raised many more questions. First, clearly, is the importance of remembering specifics and to, when possible, incorporate human elements. When conducting large-scale, global, projects, it can be difficult also to remember to scale down. However, by attempting to do so, even with sometimes limited means, can reveal greater depth and meaning. Likewise, however, it is also important to not get too lost in the specificities and to remember the spatial, political and social context. Secondly, the point clearly raised by all these topics is that the study of empire is an enormous undertaking, and one that cannot be tackled by a single scholar, practicing a single methodology. It is important to think interdisciplinarily, incorporating foreign-seeming methodologies; by getting trapped within disciplinary boundaries we only limit ourselves. This, however, leads to a perhaps even more crucial point: when thinking about empire, cooperation and collaboration with other scholars is key. It is impossible to do it all alone. When one situates one’s own work within the wider field, thinking laterally, openly and generously, and not competitively, we create a bigger and better, and deeper, picture than would otherwise be possible. Such thinking likewise makes interdisciplinary work possible, incorporating input from different scholars. We would like to thank all of our wonderful panelists. A big thank you also to everyone that attended and contributed to some very thought-provoking discussions. During our recent workshop, Daniel Clayton emphasised the importance of reflecting on where meaning congeals when investigating the impact of events and ideas across an empire. This approach is no more important than when considering the impact of the Indian Uprising of 1857. In India it represented a direct threat to European lives and property, and the authority of colonial rule; in London it represented a challenge to Britain’s reputation as the dominant global power, and a potential risk to colonial control across the empire. In many of the colonies, however, the Indian Uprising was primarily a distant crisis and a draw upon imperial resources. In our last two blogs we sought to demonstrate how the Indian Uprising spurred a mass mobilisation of imperial resources across the globe, as both human and ‘more-than-human’ entities were concentrated in the subcontinent. It would be easy to view the uprising as a centralising force, to apply that regional meaning across the empire. However, as we remember Clayton’s observations, it becomes clear that meaning does not congeal uniformly ‘everywhere and all at once.’ Rather, as will be demonstrated in this blog, the Indian Uprising existed as a peripheral event to many, its impact distant and indirect. In fact, many colonies remained blissfully detached from events occurring on the other side of the globe, too concerned with local issues to spare much thought for such a distant crisis. This post will explore these ‘peripheries of 1857’ where, despite their own inward perspective, colonial administration was still inevitably affected by global imperial agendas. It will likewise focus upon the role occupied by the Colonial Office – in cooperation with the other offices of the home government in London – as a mediator, maintaining a global perspective and the concept of a united British Empire, even as the colonies retained singularly localised outlooks. The peripheries of the empire in 1857 therefore provide an interesting insight into the processes of triage employed by the Colonial Office during periods of crisis. While our last blogs explored how imperial resources were mobilised to serve a single purpose, this one will now investigate how, in spite of that seemingly singular focus, business-as-usual was preserved across the rest of the empire. With so much energy directed toward a single cause, methods of triage were employed to determine how remaining resources were distributed to ensure stability and that other imperial imperatives were maintained. This blog will focus on a few colonies that remained peripheral to the main crisis of 1857 and their engagements with the Home Government and the Empire as a whole. The case of St. Helena demonstrates the importance of communication networks for retaining a connection to the wider empire, as well as how associated technologies were unevenly distributed among the colonies. St. Helena was not only geographically isolated, but also communicationally and commercially isolated from the rest of the Empire. It received very little investment from the central government, as it was seen to hold only a very minor role in the promotion of imperial interests. While the Cape Colony commanded nearly one fifth the military expenditure spent across the British Empire, St. Helena received none. Once a crucial re-fuelling station, by 1857 St. Helena was relegated to a peripheral status within transoceanic and global networks of communication and transport. This placed it outside the central sphere of military and political interest, relegated to a position of only tertiary importance, with no standing imperial military and little external investment. 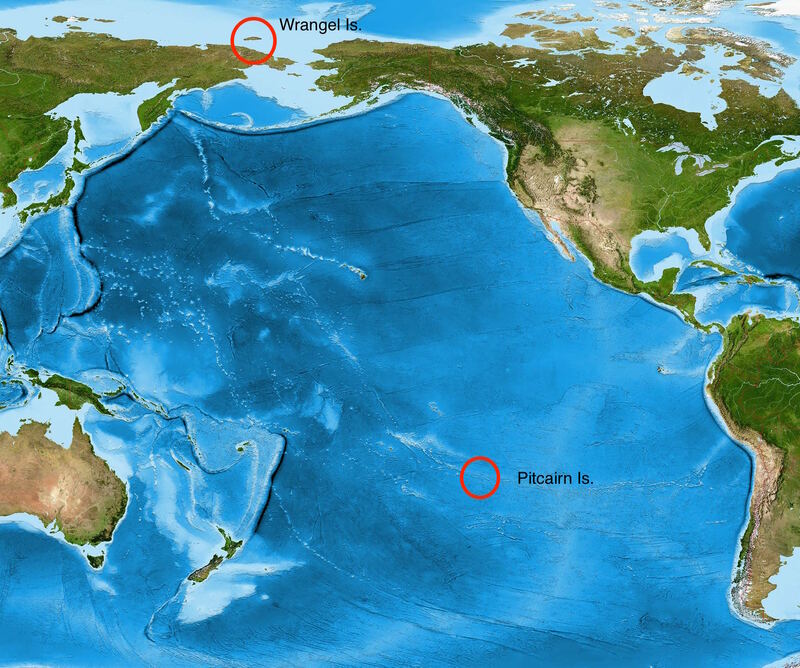 In fact, while the colony was often used by traders as a way-station on their travels between Europe and East Asia, it appears that it was not used by the military at all. In 1857, the Governor of St. Helena, Sir Edmund Hay Drummond Hay, received an offer from the United States of America Government, proposing the establishment of a naval depot on the island. 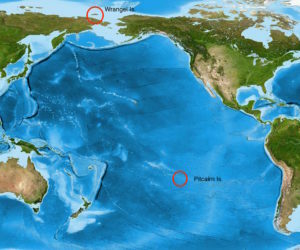 Wishing the British to have first right of access to the strategic advantages ostensibly offered by St. Helena, Governor Hay wrote to the Colonial Office, describing “the well recognised advantages of geographical position, safety of roadstead, abundance of pure water, fresh provisions, and supplies of all kinds,” as well as the “peculiarly healthy climate of St. Helena [that would] add much to its value as a Naval Station.” Ultimately, however, the Colonial Office consulted with the Admiralty and determined to allow the deal with the Americans. This decision is certainly representative of the lack of strategic interest which St. Helena commanded. 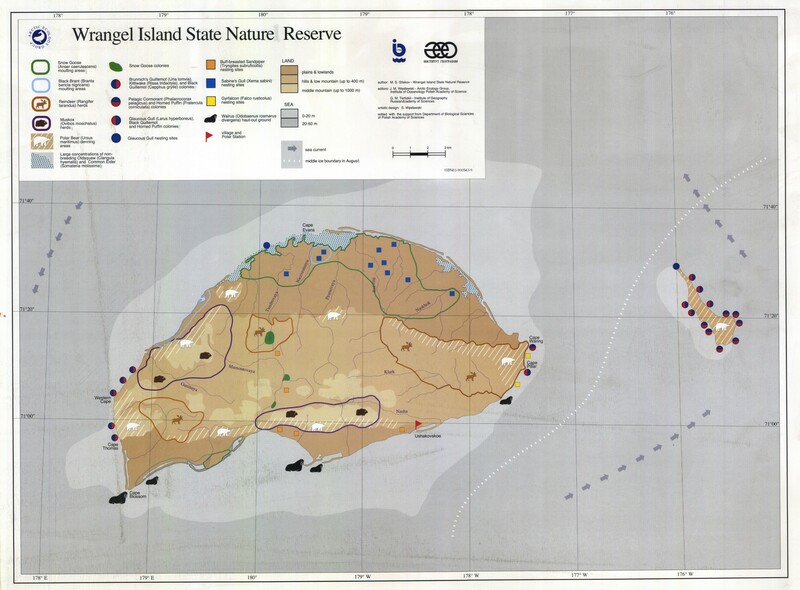 The Colonial Office made a crucial decision to allow the island – which produced little internal revenue – to raise funds by renting land to a foreign power rather than invest resources in the colony. In 1857 the empire had little military resources to spare, but likewise they were interested in levying any and all assets they had. St. Helena clearly fell to the bottom of the list, both as a recipient and as a possible contributor toward the strategic interests of the empire. The same seems to have applied to the commercial sector, which chiefly benefitted from the occasional visit of a merchant vessel looking to restock and refuel en route from Asia. As a result, it appears that the colony found itself struggling to maintain basic living standards for the small community of local residents. 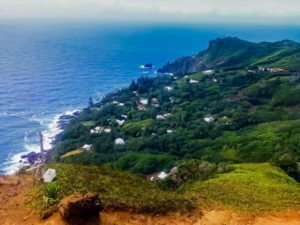 Far from being able to fund their own military, St. Helena struggled to finance basic infrastructure, even in the capital. James Town, the capital city of St. Helena, lacked a complete drainage system. In 1854, a project had been approved that would pave the main drain in James Town, making possible higher sanitation standards in the city. The paving was necessary for any future “arching over,” which would place the sewage drain underground, thereby improving public health standards as well as expanding the land area available for construction. However, a lack of funds had seen the work delayed for several years. It was here therefore that the extent of the reliance upon local officials to maintain the day-to-day health of the empire is most readily apparent. Originally intended to be funded in part by the War Office, this infrastructure project had been delayed as a result of having never received the funds. By 1857 the situation was dire, with the need for higher sanitation standards in the city becoming ever more pressing, while the availability of funds from the imperial government to support colonial maintenance projects on the strategic periphery were at an all-time low. Governor Hay, therefore, developed a somewhat innovative plan whereby the drainage works would be completed gradually over time, drawing solely on surplus colonial revenues. 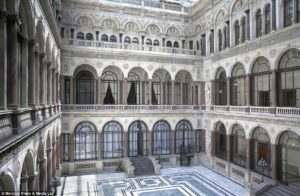 The Colonial Office were happy to approve a scheme that would sever the Home Government from responsibility for financing colonial infrastructure, and allow their resources to be directed elsewhere. It was likewise for these reasons that the Colonial Office similarly approved the building of an American naval depot on St. Helena, declining to use the island’s facilities for British purposes. While St. Helena was isolated from the whole of the Empire, Trinidad remained closely connected with other colonies in its vicinity and with consumer markets in Europe, despite being distant from events in India. Its government retained a uniquely Caribbean perspective, focused upon the protection of local industry. A surge in sugar prices in 1857 inspired a significant expansion in cultivation which, in turn, required a larger supply of cheap agricultural labour. In the decades following Emancipation, this need had primarily been met by Indian indenture, and the onset of the unrest on the subcontinent was not to deter demand. Despite the supposed preponderance of free trade ideologies at this time, it is clear that the protection of Caribbean sugar interests was seen as a priority in England. It was a convenience that meeting consumer demand for sugar in England intersected with the punitive agendas of Indian lawmakers. I fear that…a contract of such duration with the same employer would present too servile an appearance, and that the distinction between the two classes of Indian labourers would therefore be too marked. It would be preferable, I think, that these deported immigrants, as I would call them, should be assigned for that length of time to the local Government instead of to individual employers, and that this assignment should take place of, and operate in the same way as, the obligation to the residence of ten years now imposed by the Immigration Ordinance No. 24 of 1854 on voluntary Indian immigrants. The labour indentures of both classes should then, I think, be made identical in duration, and the same right of purchasing their time might be extended to both. In fact, the demand for inexpensive labour in the Caribbean colonies was such that it inspired rivalries. Trinidad repeatedly bemoaned the perceived favouritism shown to the nearby colony of British Guiana in the distribution of deported mutineers. Governor Keate complained that British Guiana received privileged access to this ready supply of labour, as well as receiving advantages in the usual avenues of labour acquisition, in the form of a representative agent for emigration posted in Bombay. Keate complained that if British Guiana were permitted an Emigration Agent in Bombay, so too should they be, so that Trinidad could also gain access to the “higher calibre” migrants. This inter-colony tension similarly reared its head when gold was discovered on the border of British Guiana. Trinidad raised repeated concerns that the prospect of gold would inspire agricultural labourers to abandon their fields, and indentures to flee their contracts, to seek their fortune in the neighbouring colony. British Guiana, meanwhile, seemed not to return much of the animosity directed their way from Trinidad. They expressed similar concerns for their ability to provide workers for the sugar plantations, but were primarily preoccupied with issues of domestic unrest. 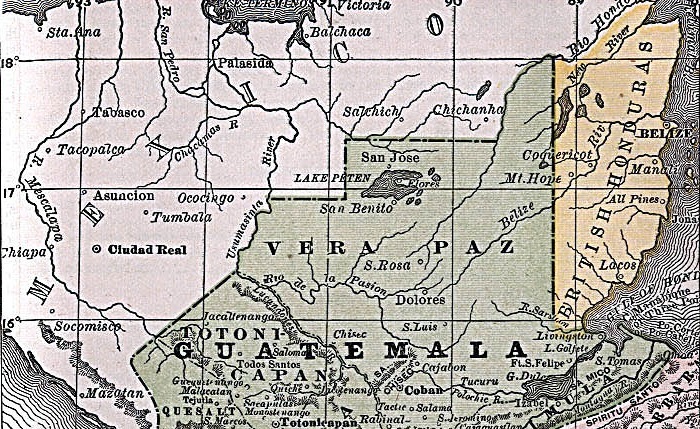 Chiefly, this centred upon a border dispute with Venezuela, inflamed by the discovery of gold. In aiming to meet their needs in this regard, British Guiana made repeated requests to the Home Government for support, showing little-to-no understanding of how London’s attention might be divided in meeting demands for military, financial, and diplomatic support. Like Trinidad, British Guiana was primarily a plantation economy, and similarly desired to increase their supply of inexpensive, agricultural labour through the increased importation of Indian indentures. In one instance, the colony was eager to establish a convict settlement from whence the prisoners would be relegated to agricultural work. In 1857, the colony was granted permission to station an Emigration Agent in Bombay to represent their interests in recruiting labourers, a fact that, as already noted, irritated other colonies that were denied such powers. Inter-colony struggles to control the labour market in this region were not a new event in this region; dating as far back as the late-1830s, in the years following the end of Apprenticeship, Barbados, Trinidad, and British Guiana all attempted to influence the movement of labour. British Guiana, in particular, was known for setting up financial incentives to encourage former slaves to emigrate there from other colonies. The discovery of gold on the Venezuelan border of British Guiana not only exacerbated these inter-colony tensions, but also reinvigorated a standing boundary dispute. The gold was found at Upata, in a mountainous region separating British and Venezuelan territory. The exact line, however, separating these two regions of Guiana had been under dispute for some years, with multiple reports placing the border at varying points. The River Orinoco, for example, was but one possible border line, as well as carrying greater importance for its being the primary artery from the coast and the only major waterway into the Upata region. With the mouth of the Orinoco currently under British control, the government of British Guiana was anxious to ensure proper protection for this strategic holding while the border dispute was being settled. They requested a naval ship of war be posted at Point Barima, at the mouth of the Orinoco, to prevent its occupation by any foreign powers. In response the Admiralty pointed out that simply no ships of war were then available to stand guard, prompting Secretary of State for the Colonies, Henry Labouchere, to assure the colonial government that he “considers it to be very desirable that in due season a Ship of War should…visit the mouth of the Orinoco for the protection of British interests” even if such action was, at that time, not possible. The missive likewise urged the colonial authorities to make every effort to themselves secure British interests in the region. In other words: the Home Government made clear that the colony was responsible for protecting its own borders and that no imperial resources were at that time available to help. 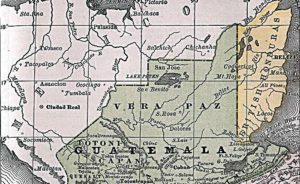 The border dispute with Venezuela is an interesting example of a local concern that intersected with wider imperial agendas. While eager to lay claim to profits from the gold, the Home Government were not so keen that they were willing to jeopardise peace in the region. Though settlement of the border was imperative if they wished to claim gold, it was equally important for protecting British sovereignty in the region against the claims of the Venezuelans and, most ominously, encroaching American businesses. Upon closer examination, we therefore find that the Colonial and Foreign Offices liaised closely on this subject despite being anxious to not inflame tensions, and unwilling to dedicate financial or personal resources to its settlement. There are clear processes of triage at work here, as diplomatic and knowledge-based solutions were sought in lieu of military options. Old surveys and maps were favoured over new exploratory expeditions. The colonial government’s repeated sending of survey teams to assess the landscape was strongly opposed by the Home Government. This was particularly true of groups sent to view the gold fields at Upata. The colonists claimed that the expeditions were “composed of British subjects having no intention of infringing any rights of the neighbouring country, but merely of ascertaining and reporting upon the position and prospect of the deposits of gold so as to enable the government of British Guiana to take such steps as may appear advisable.” In so doing, their primary objective, in addition to ensuring that any possible claim to gold was capitalised upon, was to respond to rumours and hearsay within the colonial community and in the media, that the gold was British. Nevertheless, such expeditions risked being seen to aggressively violate Venezuela’s territorial sovereignty. Not being in a position to support any conflagration in the region, the Home Government therefore strongly opposed the sending of survey teams. Instead, they relied upon pre-existing surveys and, most importantly, maps revealing the colony’s territorial boundaries while it was still under the control of the Dutch. Reports from the colony were consulted along with those from the Foreign Consul in Venezuelan Guiana, as well as maps and historical surveys. I have carefully perused the correspondence upon the subject of our boundary which took place between Her Majesty’s Government and the Venezuelan Minister in 1841-42, and as the Government of the province of Venezuelan Guiana was allowed to remove the landmarks planted at Point Barima by Sir Robert Schomburgk, although without prejudice to the claims of Great Britain, and that Point is at the entrance of the only channel of the Orinoco navigable by vessels of any great burden, it is obviously desirable that all doubt should be removed as to its rightful possession. 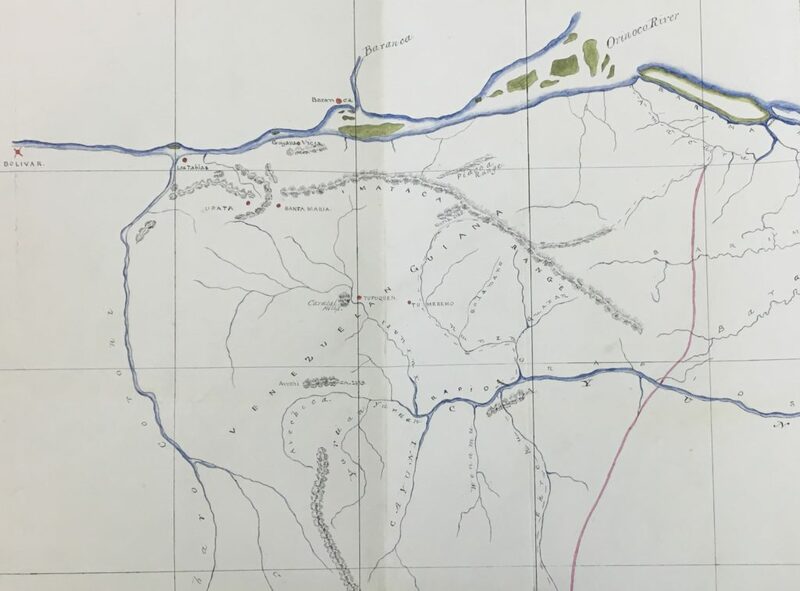 I have been as yet unable to trace any memorandum of the data upon which Sir Robert Schomburgk based his survey, but no doubt such exists in the archives of the Colonial Office…In Bouchenveder’s map, it is distinctly laid down that a Dutch post existed on the right bank of the River Barima thus indicating that stream, as the natural and actual boundary in that locality, between Spanish and Dutch Guiana. 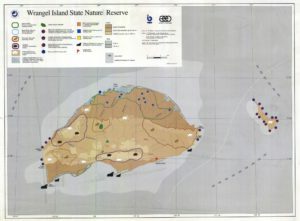 Acknowledging the urgency of settling the boundary, the Colonial Office communicated with the Geographical society for any information of the Dutch post mentioned by the Lieutenant Governor. Information concerning the historic boundary – that which had been delineated by the Dutch before handing over the territory to British control – was seen as the most certain way of confirming the boundary without any conflict or need for extra resources. The settlement of the boundary would, in turn, clearly place any gold on either Venezuelan or British land, thereby establishing ownership. Since any reasonable settlement – the Bouchenveder plan being seen to be far too ambitious – was likely to favour the Venezuelans in this regard, the Colonial and Foreign Offices used the British Consul in Bolivar to negotiate for the use of British Guiana as an avenue to those lands, using their control of Point Barima to their advantage. According to this plan, the colony would benefit from the commerce of gold-seekers and merchants, if not from the gold itself. The boundary between Venezuelan and British Guiana held very real political and economic implications for the region, yet it was settled not through the application of physical resources – such as military, personnel, or money – but rather through the implementation of that paper-based empire. Maps and surveys, used to document the physical geography of the region, were seen as an alternative solution to a complex geopolitical problem. A border dispute similarly featured at the centre of colonial politics in British Honduras, which at this time was governed by a Superintendent, serving under the authority of the Governor of Jamaica. The post was held by Frederick Seymour, who wrote regularly of issues along the border shared by the colony and Mexico. The boundary in this case was settled as lying along the Hondo River. However, delegation of responsibility for maintaining border security remained uncertain, as did that for the people who moved across the border. Migration was common from both sides, with tribal peoples from the Yucatan moving into the British colony, and colonial logging firms travelling onto Mexican lands in pursuit of valuable trees. As in St. Helena, the situation in British Honduras highlights the extent to which the Colonial Office depended upon the actions of individual characters for the maintenance of a stable empire. Despite British Honduras being officially controlled by the Governor of Jamaica, it was the Superintendent of British Honduras, Frederick Seymour, who made the critical decisions that determined refugee policy, balanced commercial and political agendas, and ensured the security of the border with Mexico. By the time the Colonial Office received word of events in the colony, the information had already been filtered through the government in Jamaica and was, as a result, several weeks old. They relied upon the dependability of local governors to ensure that the colonies remained stable, and that the image of British global dominance, and the conceived global empire, were being preserved. The cases illustrated here have been selected to give a sense of the myriad issues occurring around the globe in 1857. Together, they demonstrate the different ways in which colonies related to the central government and to each other; it points to the regional concerns and themes that pre-empted the Indian Uprising in the imaginations of colonies on the global periphery. It moreover illuminates the means by which the Colonial Office navigated this complex web of inter-colonial relations to preserve a sense of an imperial community, united under the flag of the British Empire. From London, the Colonial Office performed acts of triage, prioritising issues in the colonies, analysing their importance for the imperial agenda, and distributing resources accordingly. They employed alternative methods, communicating closely with other government offices to ensure the most efficient, and cost-effective methods were employed. They also relied upon a network of colonial officials in the absence of reliable avenues of immediate communication to preserve the day-to-day stability of colonial life. Ultimately, the Colonial Office however chose to defer many problems. By encouraging colonies to engage in knowledge-collection and in protecting the status quo, they in many instances deferred action until a time when the consequences could be better dealt with. Most colonies retained a combination of colonial-funded and British-funded military resources, with the amount of the latter usually connected to perceived vulnerability and strategic importance to the interests of the wider British Empire. National Archives. Saint Helena Despatches 1857. “Sir E.H. Drummond Hay to Secretary Henry Labouchere,” (30 Nov, 1857). National Archives. Saint Helena Despatches 1857. “Sir E.H. Drummond Hay to Secretary Henry Labouchere,” (16 May 1857). National Archives. 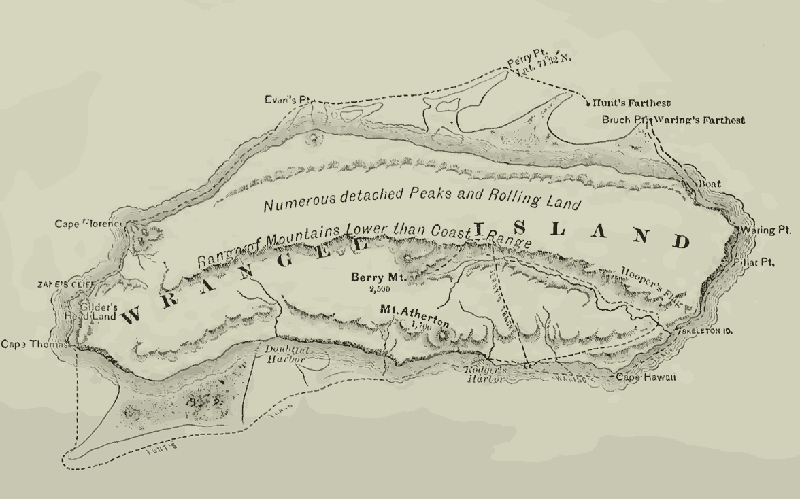 Trinidad Despatches 1 Sept – 30 Nov 1857, No. 113, “Governor Robert W. Keate to Secretary Henry Labouchere, (6 Nov, 1857). National Archives. 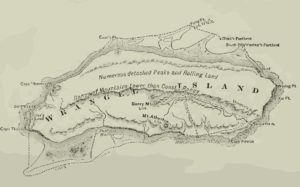 Trinidad Despatches 1 Sept – 30 Nov 1857, No. 89, “Governor Robert W. Keate to Secretary Henry Labouchere, (5 Sept, 1857). National Archives. British Guiana Offices 1857, No. 1115, “Foreign Office to Colonial Office,” (9 Feb, 1857). National Archives. 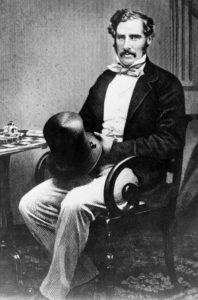 British Guiana Despatches 1 Jan – 30 April 1858, No. 11, “Lieutenant-Governor William Walker to Secretary Henry Labouchere,” (23 Jan, 1858). Alana Johnson. “The Barbados Emigration War,” presented at After Slavery? Labour and Migration in the Post-Emancipation World, (27 June, 2016). National Archives. British Guiana Offices 1857, No. 9356, “Foreign Office to Herman Merivale,” (9 Oct, 1857). National Archives. British Guiana Offices 1857, “R. Bingham to Mr. Gutierrez,” (14 Sept, 1857). National Archives. British Guiana Despatches 1 July – 31 Dec 1857, No. 20, “Lieutenant Governor William Walker to Secretary Henry Labouchere,” (24 Sept, 1857). National Archives. British Honduras Despatches 1857, Confidential Despatch No. 1, “Superintendent Frederick Seymour to Lieutenant Governor Major General Bell, (15 May, 1857). We here at Snapshots of Empire are glad to report that our workshop on September 2nd went swimmingly: thanks to all our participants, both on the panel and not, we ended the day inspired, fired up, and alive with new ideas and insights. We’ll be posting a more complete reflection on the day’s traffic very shortly – Professor Clare Anderson, our colleague from the Carceral Archipelago project at the University of Leicester, has already written a very kind and illuminating reflection here – but in the meantime, we have an audio recording of the day’s discussions for those who missed it. Huge thanks to Khem Rogaly for making the recordings, and to Evelyn Dodds and our colleagues at the School of Global Studies for facilitating the day. In part 1 of this blog, we looked at how the global mobilization of 1857 played out in the Cape Colony. 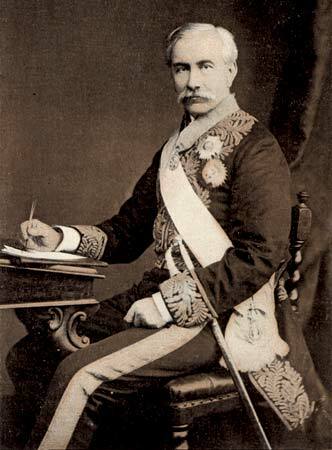 George Grey’s attempts to contribute to the empire-wide movement of troops towards India to suppress the uprising, while simultaneously managing his own problems of unrest and conflict, and putting his case to a metropolitan government that was far from convinced of the quality of his performance or his entitlement to the financial resources he was consuming, shows (we hope) something of the global nature of the crisis that overtook the empire in 1857, and the ways in which colonial administrators, in metropolitan and colonial settings, managed the conflicting and complex demands of responding to the crisis. In part 2, we’re looking at how the apparatus of government managed, between August 1857 and the end of the uprising in early 1858, to smuggle about 5,000 British troops across the Suez isthmus in Egypt. This effort involved, first, all the agencies of government in the capital: the East India Company and the Board of Control, the War Office, the Foreign Office, the Colonial Office and the Admiralty. Beyond the immediate circles of government, it necessitated the cooperation of the private companies which controlled ships, mails and telegraphs. Further afield, it drew in the representatives of government abroad: diplomatic and consular staff, Company agents, military and naval establishments overseas, colonial governors and their staff, and the Indian Government and Presidencies, each with their own military and civil administrative establishments and spheres of operation that went beyond the shores and land borders of British India itself. As we’ll see in our next blog, it also drew in the wider apparatus of empire: navigational and communications technology, geography and exploration, resource management and extraction, and questions of geostrategy and sovereignty which sat at the intersection of engineering, science, law, territorial possession and the use of force. But first, why smuggle troops over Egypt at all, and what was involved? First, there was a strong sense of necessity, exacerbated by a lack of information about what was happening in India. As we’ve seen, mails were carried by a system of fast steamers, from India to Suez, and then over the peninsular by horse transport and rail to Alexandria, and thence onward via mail steamer to Malta, Marseilles and Southampton. There were telegraph lines across the isthmus, and across continental Europe from both Marseilles and Trieste, but whether they were used or not, the time lag in communications was generally around a month. The first news of the Uprising itself took forty days to travel, by steamer and telegraph via Trieste, from Meerut (the site of the first outbreak) to London. With no idea how much of the Bengal army had revolted, how far the uprising had spread, and how many troops would be needed to put it down, officials in London were naturally eager to send as many troops to India in the shortest possible time. As for the attempts at discretion (‘secrecy’ seems optimistic, given the numbers of troops who ended up making the trip), in 1857, transporting troops openly through Egypt presented several problems. A large body of troops on foreign soil, in military order, could be expected to cause enormous diplomatic difficulties: although relations with the Ottoman Empire were friendly after the Crimean War of 1853-5, some resistance might reasonably be expected. Besides, as we’ll see, Egypt’s relation to the empire which supposedly governed it was somewhat complex, and there were issues of prestige for all involved. Besides the diplomatic issues, there were practical challenges. The Suez Canal was in its early surveying stages, and would not be completed until 1869, after nearly ten years’ work. There was a railway between Alexandria and Cairo, and work was continuing on a line onward from Cairo to Suez, but it was far from complete. From the end of the railway, about twenty miles from Suez, the rest of the journey had to be done by horse-drawn van. Whatever course was taken, the logistics on the ground would have to be taken care of by Major John Green, the Acting Vice-Consul and East India Company agent in Alexandria – the same John Green who we’ve already seen struggling to manage the flows of news and information coming through Egypt, and already overburdened with responsibilities beyond his scope. But first, there was the fraught business of policymaking to get through: how to get the different agencies of government to commit to such an eccentric course? Concurrently, the inevitable diplomatic effects and risks had to be anticipated and managed. Let’s look at these in turn. Sending troops overland to India was never a foregone conclusion, and the decision to do so involved activating networks of communication and correspondence between the offices of government in London. The main archival series we’ve been looking at for 1857 is the Company’s Political and Secret Correspondence. This is, as I’ve pointed out elsewhere, a slightly strange series: although the Committee was officially a part of the Company, set up to deal with all political and diplomatic policy (in peacetime its major function was to deal with the Princely States), in practice it was the link between the Company and the Board on political, diplomatic and geostrategic policy; and the Board, in turn, was the mediator between it and all the other offices of government. If the Company wanted to (let’s say, just for example) request the War Office to supply large amounts of Crown troops, that request went through the Political and Secret Committee, and then through the Board, to the War Office – and any reply came back, again, through the Board. The Board also exercised complete control over the information that reached the Company from India; if the Directors wished to share any of it with the Court at large, the Committee would have to ask the Board’s permission. When the Foreign Office received intelligence that bore on the situation at hand, or engaged in correspondence that the Directors would need to know about in formulating their own policy, they would send copies of it, through the Board, to the Committee. In sum, when the Company’s rule in India was faced with a grave and immediate threat, almost all its correspondence for dealing with it was mediated by the Board; and all the correspondence that passed was kept, in duplicate, in the records of the Political and Secret Committee. Given all the conditions noted above, it was perhaps inevitable that the Company would at some point ask for troops to be sent through Egypt; but how those requests would go down with the Foreign and War Offices was a question of some moment. How the Board was to mediate what might well turn out to be a snarl of competing priorities and anxieties was another. The initial parties were a success; more were sent, and as it became clear that they were encountering no difficulties, the Company began to consider a larger-scale operation. In mid-July, a Lt Col J. G. Fraser sent a memo to the Company, adverting to his logistical experience in Egypt and suggesting a plan for transporting large numbers of troops through Suez. Fraser suggests staggering the arrival of troops with the mails, so as not to overburden communications links; troops could be disembarked en masse in the morning, given breakfast in the train to Cairo, and then loaded straight onto vans for the desert crossing, to arrive at Suez by early the next morning for immediate embarkation. The troops, he writes, would be in groups of about 200, carefully watched the whole way “to prevent them communicating with the people of the company”; he envisages a permanent supply of troops passing to India by this route, to the number of 3,000 a year. The plan was, perhaps, no more detailed than what the Company was already considering, but the unsolicited mail on the subject testifies, perhaps, to the idea’s rapid circulation. Initially, however, the Board, in consultation with the Government – or perhaps anticipating what they expected the government’s position to be – were resistant. The Court persisted: in early September they communicated to the Board that they had consulted with the Pacific and Oriental Steam Packet Company (P&O), who had proposed a timetable and costing; in the letter, the Court note that, “HM Govt being the best, if not the only competent, judges of the difficulties which may be opposed to the adoption of the course in question…”, the matter might be considered again. Despite the ingratiating tone, a separate letter sent the same day informed the Board that the Court had already accepted P&O’s offer. It is time that this subject, with very many others relating to the speedy dispatch of troops to India, had been discussed in the conversations which I have frequently had the honour of holding with you since the commencement of the late unfortunate events. But, as no steps had been taken of a formal nature to bring before HM Govt the views of the Court of Directors upon this head, and of course concluded that they agreed, through you, in the objections urged against them views of HM Govt, and I think it would lead to any end rather than that of the united government of the Court of Directors and the Board, if every proposal that had been broached at our confidential interviews was, in times of great public emergency, to be addressed as scheme submitted to, and rejected by, the Board. 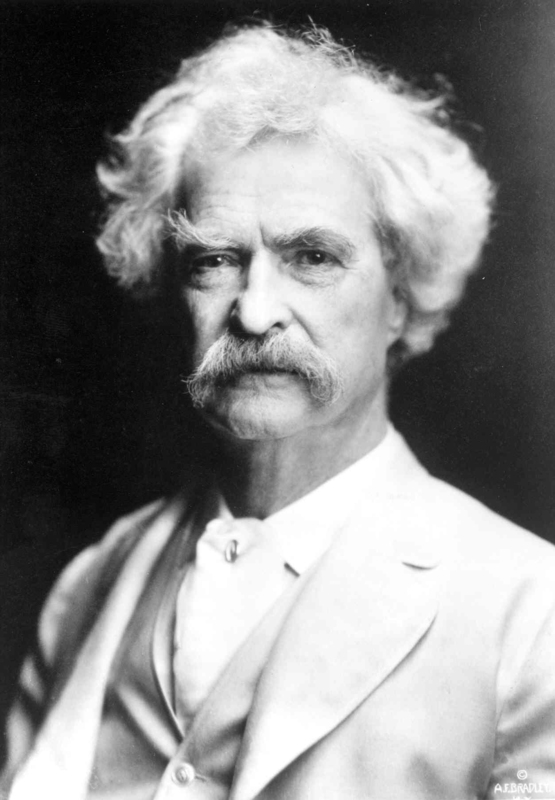 What is at stake, he admonishes, is the running of imperial government itself; should such actions be taken on debatable interpretations of verbal contact, he writes, “it is obvious that the President of this Board would be under great disadvantage, and that, instead of facilitating, [the Court] would impede, by the most unpleasant recriminations, and differences of recollection as to what had passed, the united action, as well as the good feelings, of the component parts of the government of India.” In the same letter, however, he informs the Court of arrangements for the passage through Egypt of a company of soldiers being moved from Malta to Aden, to make up a shortfall of troops sent from Aden to Bombay. It’s possible to see here, perhaps, how the extreme compression of crisis management brings into a sharper focus the cross-purposes, conflict and animosity – the friction, if you like – between agencies of government within the imperial centre. The copies of Vernon Smith’s letters in the Political and Secret correspondence are drafts, so that, as above, we can see how stronger phrases have been stricken out and replaced by more diplomatic ones: this is a recurring feature of draft correspondence during the crisis, in which it’s possible to see the strain that went into maintaining a constructive dialogue. The need to act fast and decisively forces simultaneous protest and assent; agencies are forced, as it were in the same breath, to co-operate on the business of governmentality while decrying breaches of protocol and questioning each others’ commitment to the functioning of government itself. By late October, the War Office was giving full assent to sending troops through Egypt, “as our experience in sending small parties of troops by that route justifies the attempt with a complete regiment”. As far as the Company and the Board were concerned, policy was set: from here on, troops would travel to India by both Cape and overland routes. Just as the Company were dependent on the War Office to grant them troops and arrange their readiness, they could only undertake diplomatically risky projects like the Suez gambit with the assent and co-operation of the Foreign Office. The FO had to mobilise its own networks of consular agents, ambassadors and spies, and its own documentary logistics of sealed packages, diplomatic mail, cryptography and flying seals, to assist the war effort and provide intelligence on proximate and remote threats. Although the FO readily gave assent to the early small parties crossing the isthmus, the whole affair clearly jangled diplomatic nerves: only a few days after approving the plan, the FO wrote to the company (marked “IMMEDIATE AND CONFIDENTIAL”) that “the Earl of Clarendon …request[s] that you will state to the President of the Board of Controul that it is of the utmost consequence that the intention to resort to this measure should not be suffered to transpire, and that on the contrary all parties concerned in carrying it out should be strictly cautioned not to allow the nature of the orders given on the subject in any way to become public.” Even when the pretence of secrecy was entirely token, the Foreign Office continued to counsel caution. …this Govt think it due to the Pasha, who has always evinced so much consideration and attention for their wishes, not to leave him in ignorance of the real character of the large body of passengers who will pass through Egypt with the next mail… You may add that the men will not remain on shore in Egypt beyond the time absolutely required for their passage through the Country. The policy here, clearly, was that the operation would be soft-pedalled as much as possible. When the first rather larger group of soldiers was sent through in September, Stratford was encouraged not to say anything unless specifically asked; and, if asked, to emphasize that the men would not be in military array, their arms would be travelling separately, and that they would not stay in Egypt “beyond the time absolutely required for their conveyance through the Country”. Once it had been decided to send through larger bodies of troops, stronger expressions of assent would be required. “Said Pasha then alluded to two letters he had received from the Porte, and gave me an opportunity of explaining that I wished him to have his correspondence from Constple before presenting the letter that had been forwarded to me & which I then handed to him. As HH mentioned two letters, I mentioned I had only read one, when he stated that the other letter informed him that instructions would be sent to him as to the number of Troops to pass through Egypt. I observed that I might report this to Yr Ldshp, when he said it might subject him to annoyance at Constple. … I do not attach any importance to this matter, but it is as well to know that something has been said by the Porte as limiting the number of Troops passed through Egypt. What’s striking here is the level of care that Green, Stratford and Clarendon, all talented diplomats, put into testing the temper of the Ottoman authorities, and trying to descry, from outward signs, the inner workings and tensions of another imperial government – a government with its own ways of doing things and its own complex relationship between core and periphery. While engaged in their own networked correspondence, they’re constantly trying to deduce what correspondence has occurred between their opposite numbers, and to understand the relationships between actors from each of whom they need to exact a certain kind of compliance. The way had been opened, then – albeit provisionally, and with a certain sense of precariousness. From here on, between the steam companies, the War Office, the Board and the Company and the Foreign Office, a workable logistics began to take shape. The Foreign Office were keen that, once arrived at Alexandria, the troops should not even leave their ships until a telegraph from Suez indicated that ships are waiting ready for embarkation: and that, once ashore, they should be moved as quickly as possible. All parties agreed that the passage of troops should not impede that of the mail: governmental agencies and the Company itself would not brook any obstruction to the vital flow of information, and the steam and telegraph companies’ credit depended on delivering it. Where there is conflict between troops and information, information takes priority. Remarkably, the troops continue to travel in mufti, at least nominally: factored into shipping companies’ and the War Office’s plans, there is always a charge for a civilian overcoat, and equipment is often mentioned as being disguised as luggage – how successfully is open to question. How the journey actually was for those who experienced it – if not troops, then those who went with them – was recorded, with a dyspeptic eye and Dickensian bathos, by William Howard Russell, the Times correspondent who had made his name in the Crimea. 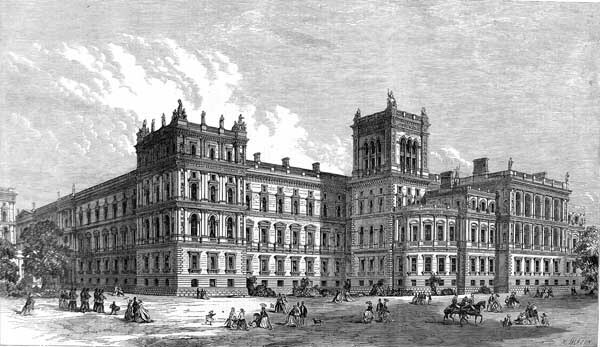 Russell passed through in early 1858, and apart from his complaints about food and accommodation, the impression he gives is of an operation that, though ramshackle and apparently, seemed to get the job done. His account is vividly alive to the juxtapositions and displacements of intense colonial and military activity in a small area suddenly invested with geostrategic significance, and of an infrastructure under rapid construction and unexpected strain. He writes of the train from Alexandria being held up for two hours to make way for the Pasha’s private train, which never comes (the message is relayed by telegraph to “some distant station along the line”, and then conveyed to the train by foot); he also writes of coaling stations along the line as “helpless, hot, ovenlike erections generally eked out by old Crimean wooden huts, within which may be seen an undoubted Englishman, smoking his pipe”. He notes European and quasi-European food and drink being advertised at various stops, or transported out from Cairo for the passengers and soldiers; of passengers and soldiers themselves, rather against what the Foreign Office had hoped, crammed into crowded trains together; and lends a Dickensian absurdity to his description of the vans that took the troops the last few miles to Suez: “Brighton bathing-boxes laid longitudinally on wheels, to which were attached creatures of an uncertain number of legs, resembling very much Scarborough ponies at the end of the season”. The conduct of the men was most orderly. A lusty chorus, which in several occasions proceeded from the carriages, testified to their good humour; and any petty discomforts of the journey through Egypt were quite unheeded in their satisfaction at travelling ‘like gentlemen’. In the end, the policy of transporting troops by the overland route had few alarming repercussions. Certainly, there will be a lot to write about how it shifted or accelerated the development of communications and navigation infrastructure in the Middle East, and how this fits into the broader diplomatic and geostrategic effects of the Uprising on an international level. There must also be room, I think, for more granular studies of the logistics and the administrative processes behind the policy itself. Of the approximately 40,000 troops that traveled to India from all over the Empire, only about 5,000 traveled through Egypt; by early 1858, when it was clear in London that the need for further drafts was no longer urgent enough to make the shorter route necessary, transports reverted to travelling almost entirely by the Cape route. Although the conflict would continue into the spring, the first scramble to respond was over. The final item in the Political and Secret Correspondence for 1857 is dated the 31st of December. It is a response from the Directors to a notification from the Board that they will be seeking to have the Company abolished. The Times (London, England), Thursday, Oct 29, 1857; pg. 10; Issue 22824. In our last couple of blogs, we have proposed the merits of viewing the violence of 1857 as a global event: one which necessitated the mobilisation of a global network of communications, technology, people, and power, and made use of all the means of bureaucracy, diplomacy, logistics, and violence available to the British Imperial State and the East India Company. In this two-parter, we will be exploring the events of 1857 from the centre in India, and from the ‘peripheries’, considering both how the resources of empire were tapped in order to mobilise troops for service in India and, on the other hand, how such mobilisation efforts affected policy development in other colonies. In this first part, we will focus on the Cape Colony, which supplied many of the regiments used to put down the rebellion in India. Next week, the blog will focus on how the Indian Government and India Office in England coordinated complex geostrategic and diplomatic efforts to move troops from England through Egypt and the Red Sea. The Cape Colony featured heavily in those efforts to mobilise the Empire to support India. While for the East India Company Board of Control and the Government of India, the Cape was a crucial resource for suppressing the rebellion, it is important to remember that the Cape government likewise had its own concerns. The Indian Uprising, therefore, from the perspective of the Cape, served as a significant, but peripheral, event that shaped, but did not overwhelm, domestic issues. It was the Colonial Office, meanwhile, that balanced these two perspectives, identifying the Cape’s value in meeting imperial priorities while also seeking to maintain the security and stability of the colony. It is the ways in which these perspectives coincided to shape Cape Colony policy that will be discussed here. This virtual exuberance at the prospect of supporting the military effort in India is echoed in all the subsequent correspondence on the subject. In October, Grey reports the despatch of the Boscawen steam ship, with 500 men, plus officers and non-commissioned officers, and the simultaneous shipment of “trained artillery horses from the field batteries in this country…These horses and 250 additional men, with their due proportion of officers, shall be sent on to Calcutta in Her Majesty’s Steamer Megara at the same time the Boscawen sails.” He likewise recounts how 92 officers and 1,743 men, sent from England, were diverted from their original destination in China to support the military in Calcutta. The Supreme Government of India, in communicating with this Government did not even ask for one Regiment. The instructions I had received from Her Majesty’s Government were to send one Regiment to Calcutta, and one Regiment to Ceylon, and there was a general authority in your despatch of the first of August to take, in conjunction with the authorities in India, such measures in regard to the movement of troops as the interests of the public service might require. It was not only troops that the Cape was asked to supply; as the Indian Uprising was being suppressed, the colony was also considered as a potential location to which ex-mutineers could be deported. Following the end of the Uprising, sending the King of Delhi to exile in the Cape Colony was debated. Grey eagerly proposed a plan in which the King would be sent to King William’s Town, the capital of British-occupied Xhosa territory named British Kaffraria, where he could be monitored, far from any chance of escape by sea and far from any influence in India. Slightly tangential to the primary point of this blog, but no less interesting for it, was the proposal made by Grey in relation to this proposed plan that “It would be better not to call upon the British Parliament to interfere in the matter, for the Legislature here will readily pass the necessary law upon the subject…moreover it is clearly right, in a colony possessing a representative legislature, with full legislative powers, that the interference of the British Parliament should be as infrequent and as little obtrusive as possible.” This seems to contradict the general tone conveyed in many of Grey’s despatches related to troop disbursements, that the priorities of the Empire take precedence over the immediate needs of the colony. Rather here, he appears to be making a play for greater autonomy, distinguishing the Cape Colony as an independent colony with its own representative government, needless of imperial interference, even while pleading for greater investment on the grounds of its vulnerabilities. We have crippled the artillery here by sending every horse from our field batteries, that we have temporarily almost destroyed the Cape Corps by taking two hundred of the best horses from that force, and this has been done with 70,000 barbarians within our Colonial Borders, exclusive of those in Kaffraria and the neighbouring states. I then caused him [the abaThembu regent Fadana] to be suddenly fallen upon by the Mounted Police and Burgher Forces, who, under the command of Commander Currie, performed this service with the utmost gallantry, discretion, and activity, and the result was, as you will find from the enclosed despatches, that Fadanna’s [sic] party were routed, in a great measure destroyed, and that the robber Chief, and his ally…were both captured. That all the troops had gone to India from England, but were so overpowered by the Indians that all the English troops had left this country for the purpose of assisting their countrymen. That all the horses had been shipped at East London, also the guns, and that the troops had embarked at Port Elizabeth and Cape Town. That it was heard with delight that the Indians are a black race with short hair, and very like the Kaffirs. That it is to be regretted that, whilst their race is overpowering the English in India, the Kaffirs are at the present moment unable to follow up the success, and fall upon the English in this country, and that it was known to his people that Krili [Sarhili] is looking forward to an opportunity and is devising plans for bringing on a war. 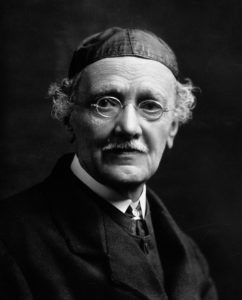 You may have noticed at this point that discussion of the Cape Colony’s contributions have been largely focused on Sir George Grey and his reports thereon. There is a reason for this: accounts sourced from his despatches do not seem to match numbers found in official reports of the War Department and Colonial Office. Grey paints a comprehensive picture of a colony selflessly denuding itself of military resources to support the imperial agenda, all while battling frontier incursions from the inside. Meanwhile, the Home Government sees a very different picture: one of a colony receiving far more than their fair share of imperial resources and consuming a significant majority of available military funding. The first suggestion that the Colonial Office was aware of the true size of the resources held by the Cape Colony is in November 1857, when the Secretary of State, Henry Labouchere, urges Grey to donate a portion of what they have to the effort in India. You are fully apprised of the desire of H.M.’s Government that you should avail yourself of the circumstance of so large a number of troops being assembled in the British Provinces of South Africa to render the utmost assistance…to the Indian Administration, and pray that you will have been able to despatch considerable additional services to that Country, where seasoned Troops will be especially valuable. Keep in mind, that at this point Grey had, for some months, already been sending reports of vast exports of troops, horses, and other military resources to India, as well as complaining of the effect this had on the state of security in the Cape. It begs the question, therefore, why the Colonial Office would feel the need to encourage greater distribution of resources? Nevertheless, there seems to be little further reference made to any discrepancy until the following year, when the Indian Uprising was over. The drain on British resources which has resulted from our undertaking the defence of this colony, and to the inadequacy of the benefits resulting to British interests. As affording a field of emigration, a supply of our wants, or a market for our produce, our connection with the colony has not been, comparatively speaking, of any considerable advantage to us; in fact, the only direct object of Imperial concern, is the use of the road steads at Table and Simon’s Bays. While Sir George Grey repeatedly bemoaned the dearth of military support in the Cape Colony in 1857, the report of the War Office actually suggests that for that year the Imperial government had at the Cape, including the German Legion, an army of 10,759 regular troops, costing them a total of £830,687, equal to more than one-fifth the military expenditure across the entirety of the Empire. A chart noting the relative military investment in the Cape Colony, in relation to its contributions toward the Empire and similar figures for all other colonies. Omitting the Mediterranean garrisons, which Elliot qualifies as a “special class” he reckons that the Cape Colony received nearly a third of the direct military expenditure of the British Imperial Government in 1857-58. So long as British authority restrains the settlers from defending themselves in their own way, it is bound to find some efficient substitute. The result has been to produce an excessive drain of British resources for a single Colony; the expenditure, as above shown, is enormous, and it is not likely ever to be materially reduced except by a radical change of policy. Such a change would relieve this country from a heavy burden, and, so far as concerns the demands both for men and money, would be a palpable gain. Whether it would be opposed to any just claims of philanthropy, or to the general duties of the Sovereign States towards their subjects, and whether also it would be irreconcilable with public opinion, are questions of a different kind, lying beyond our province. They can only be determined by Statesmen engaged in the actual conduct of affairs. Sir George Grey was ultimately recalled from office in 1859, in consequence of the Home Government finally acknowledging the extent of the discrepancy between his protestations of resource starvation on the one hand, and the dawning recognition of the disproportionate expense that he incurred for little strategic or economic gain on the other. Yet historians have not yet noted how important the Indian Uprising was for both Grey’s and the Cape’s fate: it provided the prompt for Grey finally overstepping the mark, protesting rather too loudly both a self-sacrifice and a self-pity that drew newly critical attention. National Archives (NA), Cape Colony Despatches 1 Sept – 30 Nov 1857, Letter from Sir George Grey to Henry Labouchere, 22 September 1857. NA, Cape Colony Despatches 1 Sept – 30 Nov 1857, Letter from Sir George Grey to Henry Labouchere, 24 September 1857. NA, Cape Colony Despatches 1 Sept – 30 Nov 1857, Letter from Sir George Grey to Henry Labouchere, 3 October 1857. NA, Cape Colony Despatches 1 Sept – 30 Nov 1857, Letter from Sir George Grey to Henry Labouchere, 2 November 1857. NA, Cape Colony Despatches 1 Sept – 30 Nov 1857, Letter from Sir George Grey to Henry Labouchere, No.304, 11 November 1857. On Grey’s imperial politics at large, see Alan Lester, ‘Settler Colonialism, George Grey and the Politics of Ethnography’, Environment and Planning D: Society and Space, 34, 3, 2016, 492–507. NA, Cape Colony Despatches 1 Sept – 30 Nov 1857, Letter from Sir George Grey to Henry Labouchere, No. 134, 27 August 1857. Sir George Grey to Henry Labouchere, 3 October 1857. See Jeff Peires, The Dead Will Arise: Nongqawuse and the Great Xhosa Cattle-Killing Movement of 1856-7, Raven, 1989. NA, Cape Colony Despatches 1 Jan – 31 May 1858, Letter from Sir George Grey to Henry Labouchere, No.9, 11 February 1858. NA, Cape Colony Despatches 1 Sept – 30 Nov 1857, Letter from Henry Labouchere to Sir George Grey, 27 November 1857. 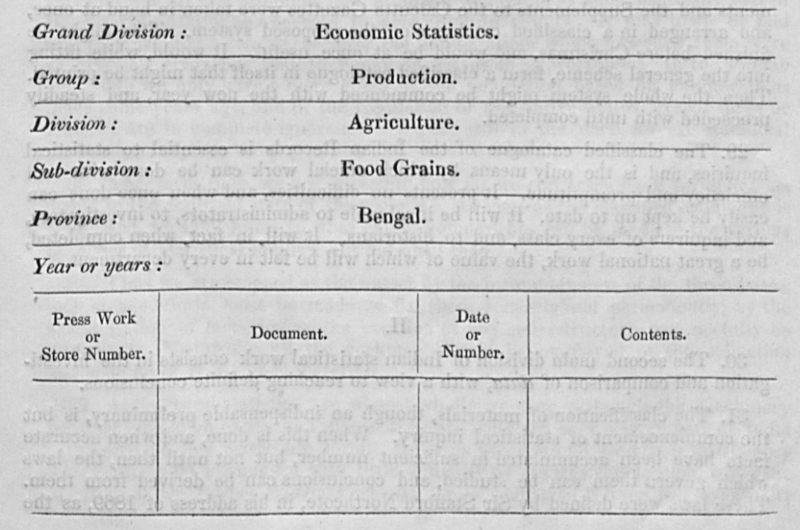 NA, Military Expenditure in the Colonies, War Office, 1859. Thomas Frederick Elliot. 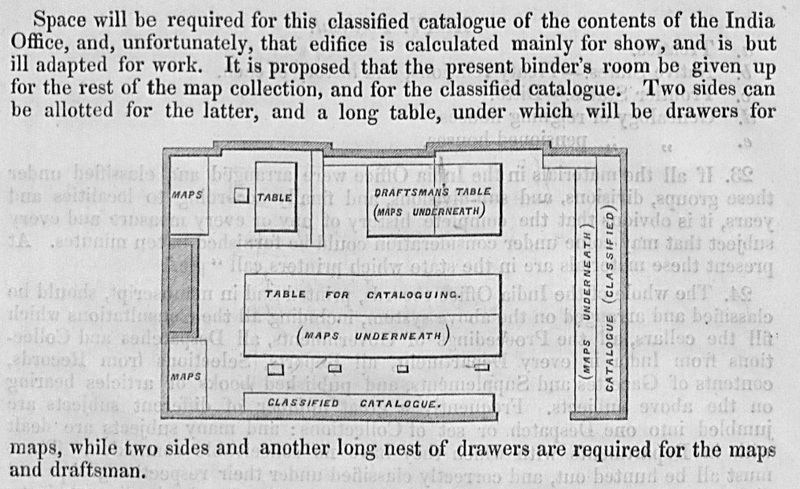 Memorandum, Colonial Office, 28 January 1860.